IMD IPD mind meld: Art nouveau…Not worth the hype. 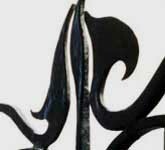 This is my blog about the art nouveau movement lecture given by Richard Carr. 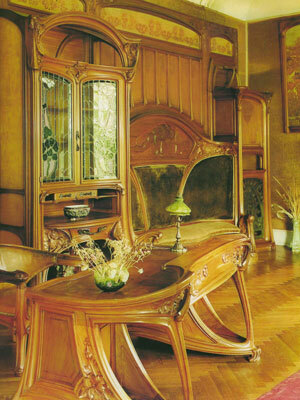 I went away of the lecture with the knowledge that art nouveau is a load of curves and got images as examples. I like this railing as an example of contemporary art nouveau as it show's great iron monger craftmanship and makes a change to the "bog standard" railing being implemented by low budget council's at the moment. The fact that it hasn't gone "over the top with the style also compliments in creating a nice image in my head. There are many examples that i put but have been deleted and now i have no time. So please forgive me and except this as my blog and to prove a point that there are better examples of art nouvaeu style. Tell me what you think, all comments appreciated. Lovely examples of Art nouveau. Too bad the post self-destructed and some of the examples were lost. Sorry to hear you had a boring Richard Carr lecture. Here is some advice from an old fart -- Have you thought of making Carr's lecture less boring by interrupting him and asking him a question? Knowing how a master (I presume Carr is good at what he does) thinks and reasons is a lot more important than what he "lists". Just my 2 cents and humble opinion.